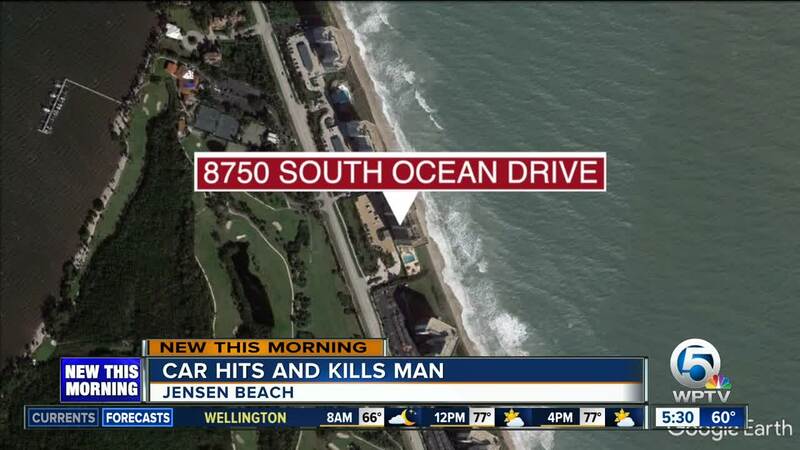 An 85-year-old man was killed in Jensen Beach when he was hit walking across South Ocean Drive. ST. LUCIE COUNTY, Fla. — The Florida Highway Patrol said an 85-year-old pedestrian was hit and killed Monday night in St. Lucie County. The pedestrian, identified as LeRoy Phillip Haas of Jensen Beach, was walking eastbound across 8750 South Ocean Dr. at 7:35 p.m.
A 2018 Hyundai Genesis was traveling northbound on South Ocean Drive. FHP said the front, right corner of the car hit Haas, who later died at Lawnwood Regional Medical Center. The FHP report says alcohol was not a factor in the deadly wreck, but charges are pending in the investigation.